Do you like Bingo? 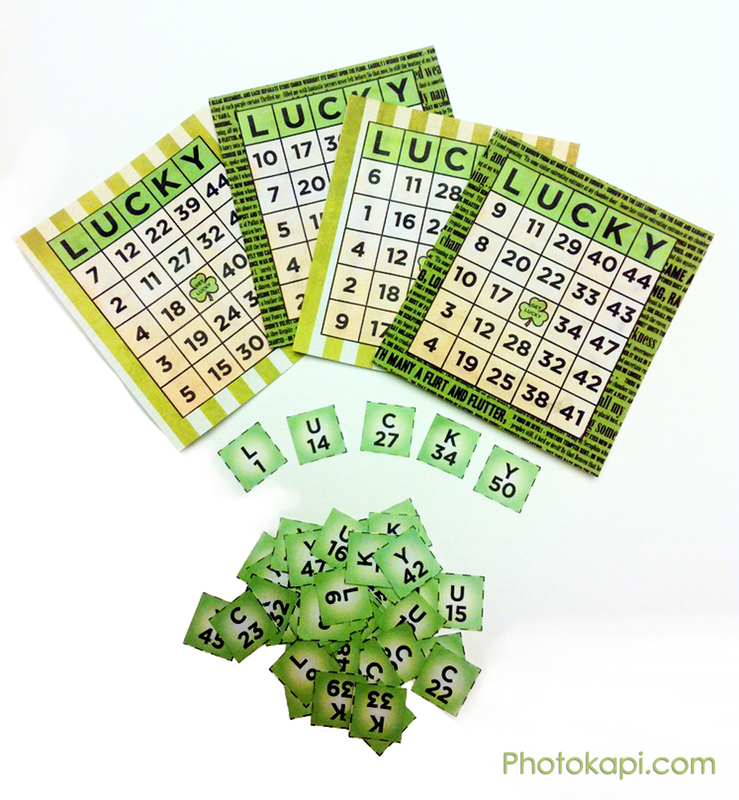 With St. Patrick’s Day around the corner, I offer this free printable bingo game. Set includes 20 cards and the caller tokens representing each square. Print out, mount on your own card stock or scrapbook paper for a game that is uniquely you. If you are not already a follower, add me to your bookmarks, I am working on custom bingo cards you can generate for baby or bridal showers, Valentines day etc., and will publish a link to it soon.